Oh look, a bonus match. An ongoing Superstars/Main Event feud sees its end (?) on the Kickoff show. Truth wins a pretty basic match. What made me happy: Cody Rhodes Stardust gets a spot on the show! And it’s storyline-relevant! HOORAY! 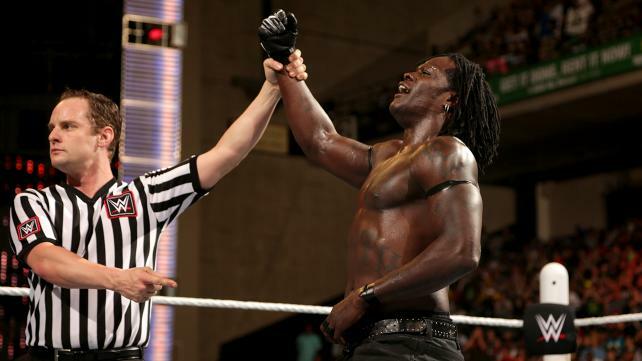 What made me angry: R-Truth wins. You could cut my disappointment with a knife. If I booked it…: Cody would be doing something far more meaningful than unadvertised kickoff show matches against R-Truth. Considering how much momentum he had going into WrestleMania, coming off the Goldust feud, there was a lot to capitalize on. Instead, WWE seems content to continuously build Cody up to a viable Intercontinental championship contender, and then let him fall off again, only to go “oh wait, we need something for Cody.” Wash, rinse, repeat.